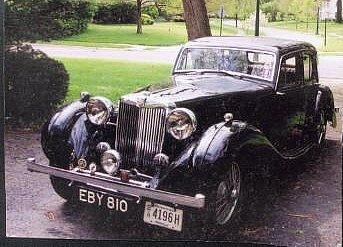 PETE’S DAD’S OLD MG FOUND! 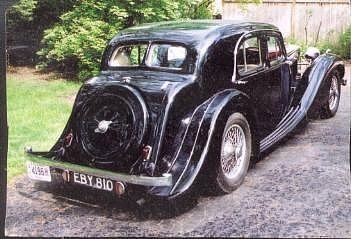 For years I have wondered just what model of black MG saloon my father had owned around 1949-51, and whether it was still on the road. All I could remember was that the previous owner, and probably it’s first, had been the Mayor of Croydon and my father sold it on to a Scottish MG enthusiast somewhere around Edinburgh. 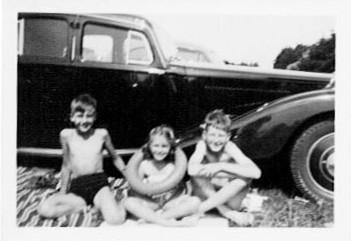 To this end, via their website, I had recently contacted the SVW Register within the MGCC and sent some old black & white pictures taken when we had it to see if they had any record of our old car - EBY 810. 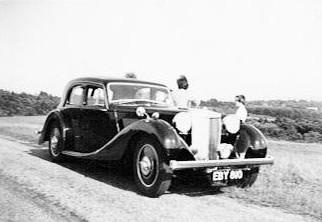 Interestingly, the Edinburgh owner had made entries in the owner’s manual, which started on 10th April 1952 with 5467 miles. A note says purchased 7 Feb 1952 with 5023 miles. The last entry is 56020 on 18th Dec l961. Passed MOT 21st Dec 1961. Bill bought the car in June 75 from a William Tompkins of Dayton, Ohio with about 60,000. Tompkins had bought it from the museum in Edinburgh, but hadn’t put many miles on it. Apparently Bill first discovered the car at the back of a yard being allowed to rot away and he just had to save it. 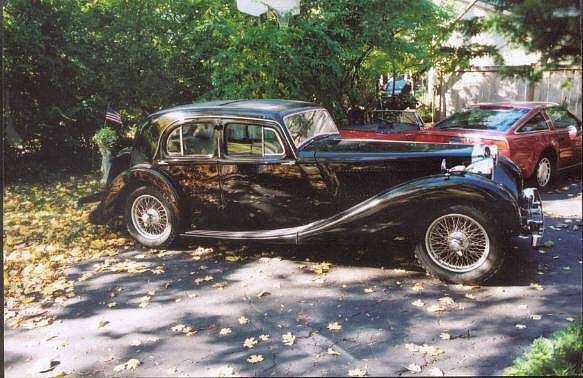 He has now restored the car to an excellent standard. This SA was very nearly a gonna though… When it had just been sandblasted for it’s second re-spray in his ownership, the body shop, where it was to be sprayed - caught fire! Luckily it was in a room with a fire door and it closed. The bare parts rusted and everything was “smoked”. It had to be re-blasted and took years to get rid of the smell. Apparently it has been a ‘labor’ of love, and to date has won several shows and gets lots of attention. Bill adds – “we were thinking of a bumper sticker, ‘I never knew MG made a car this big.’ Almost everyone says this when they see it.” Apparently they have MG clubs around with over 300 members too.